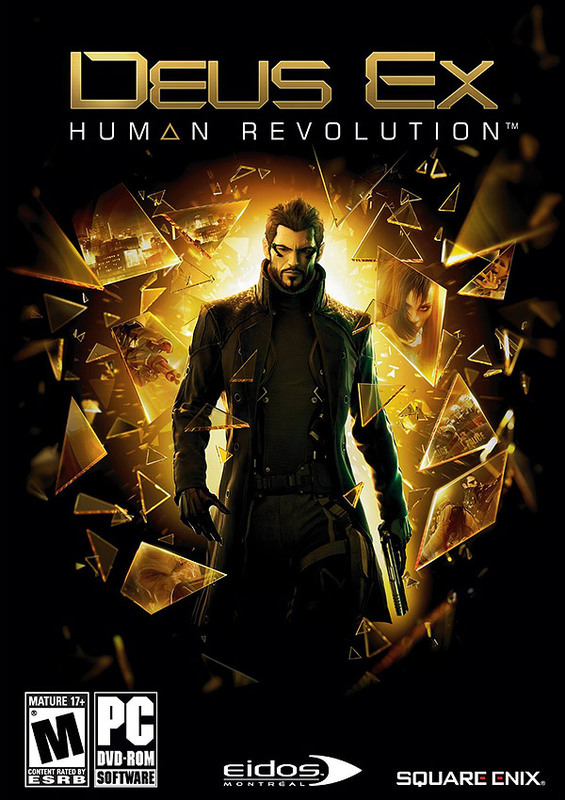 The game Deus Ex: Human Revolution is an exclusive AMD HD3D technology title, meaning that the developers from Eidos-Montreal have partnered with AMD in order to make native stereoscopic 3D output mode compatible with the HD3D technology along with some other extra features. The game also supports AMD’s Eyefinity multi-monitor technology and is also a DirectX 11 title, although DX11 support is not exclusive for AMD-based hardware, but also works with Nvidia-based video cards. Now, what native stereoscopic 3D support means is that the game engine itself renders the slightly different left and right views that are used to create the illusion of depth in the virtual game world. Or with other words in order to have stereo 3D support in Deus Ex: Human Revolution on compatible AMD hardware you don’t need to use middle-ware such as the iZ3D Driver or the TriDef 3D software as you’d normally do in order to get a game work in stereo 3D mode with an ATI/AMD-based video card. The native stereoscopic 3D support sends the two views directly to the video driver using the quad-buffer support offered by the AMD HD3D technology, an example of what you can do by using the recently released AMD Quad-Buffer SDK. A lot of gamers using ATI/AMD-based video cards and relying on middle-ware solutions such as the iZ3D Driver or the TriDef 3D software also are complaining of trouble making the game work in stereo 3D mode. And a lot of people using these solutions have ATI/AMD-based hardware, but use it with different kinds of 3D display solutions that are not supported by the use of AMD HD3D technology getting the direct S3D output from the game engine. So the situation with these users is pretty much the same as with people with 3D Vision, they don’t get that great stereoscopic 3D output as instead of getting the perfect S3D output from the game engine, they need the middle-ware solution to create the stereoscopic 3D output for them. So as a result even more people with stereo 3D solutions are left out, just because they are not AMD HD3D ready, although they may have the perfectly capable ATI/AMD-based video cards. Makes you wonder if the game developer ever think about the gamers that will be using this stereo 3D features or they think they can just say they’ve made something fancy to boost their sales. Stereoscopic 3D support for gaming on the PC is still far from perfect, there are multiple solutions available and no industry wide support present, so that you can easily make a game supporting stereoscopic 3D output for all of the available 3D displays. But most developers that are making games promoted as stereo 3D capable do try to add support for at least most of the available solutions and to ensure that this stereoscopic 3D support looks good and works well with all of them, like in the game Avatar for example. So what can you do if you are one of the gamers with a stereoscopic 3D capable computer, but are left out by the game’s native AMD HD3D only support? Well, you need to either play the game in 2D mode or do some things in order to make it somewhat playable in stereo 3D mode. You need to start by running the game in DirectX 9 and not DirectX 11 mode, so that you would be able to use your middle-ware stereo 3D solution (3D Vision, iZ3D or TriDef 3D) with better, but far from perfect results. Another thing that you should be aware of is the fact that by default the game has its convergence preset at a specific level and you are able to only adjust the depth level. This is something that a lot of the game developers making a stereoscopic 3D title tend to do in order to provide decent level of depth and minimal to no pop-out of the image. And while this has some advantages, especially for people new to stereo 3D gaming, the more advanced users and people that have already played for a while in stereoscopic 3D mode literally hate when this happens. The reason is that they want to be able to make the adjustment of the convergence as they wish as they can easily handle more pop-out and usually want to be able to make the game pop-out, so completely locking out convergence adjustment is indeed another not recommended thing. You can warn the users not to play with it if they don’t know what they are doing and provide an easy option to reset it to the default value for example, but not completely lock it out to a preset value that you may think is the best. Now, there may be some good news for owners of 3D Vision systems as Andrew Fear has reported in the Nvidia forums earlier this month that Nvidia is cooperating with Eidos to bring proper 3D Vision support, would’ve been nice to have that right from the start however. It won’t however hurt if you mention in the official Deus Ex: Human Revolution forums that you’d like to have proper stereoscopic 3D support added to the game, not only for 3D Vision, but also for iZ3D or TriDef 3D if you are using these. But remember, in order for your post to have effect you should not use rude tone or demanding something, just say you’d like to see that support in a future update, so that the game developer can see there is actually a big demand in proper stereo 3D support from the gaming community that plays in stereo 3D mode. Anyone who posts on the forum either has their post deleted or gets a rude reply. NVidia 3DVision Support would be nice! Considering this is an ATI/AMD supported game, I don’t see that happening. The dev’s were clearly insane, even if we ignore the 3D support, AMD/ATI don’t even have 1/4th of the Market Share. nVidia is the supreme winner in every case. Hell AMD don’t even have the market share in CPU’s. The sooner AMD dies, the better the technology world will be. Also I’ve read that you can do a registry key edit to get the 3D working, apparently the dev’s did actually implement other modes and the registry key controls it. heh, reversed “The Witcher 2 is 3D/wide only on nVidia” situation right? How does it feel? I actually think both are dumb, dumb marketing, dumb thinking to alienate the other side users and in the end they both lose, ’cause no one will just go and buy their cards just for *this* game of the moment, and more they’ll get some hate on top of that too. Way to go! Apparently even those that have AMD HD3D are having troubles getting the 3D to work. Back to the nVidia front, both nVidia and Eidos are saying its the responsibility of the other party to implement the 3D. to think that Batman Arkham Asylum was so incredibly displayed in 3d ,and i think Eidos was behind the game, you would think a game like Deus EX would properly support 3D out of the box. maybe gamestop opened the box and stole the 3d out if it, just kidding i still just hate them a little however at least they are giving me a $50 gift card. Deus-Ex Human Revolution in DX 11 in 3D Vision (Surround). Just to mention, the above mentioned fix from Helifax only works if you PIRATE THE GAME. @Lone Thread: wrong, works on Steam as fine ( http://is.gd/k6zknc ), pay for a good game! Does the new workaround 100% support Steamworks, etc. Why couldn’t they have made it do stereoscopy, regardless of what hardware you have, like Crysis 2 did? Started playing this recently, Steam version, and it looks like all the problems have been fixed. Looks terrific in 3D vision. In game controls for depth and visual plane work fine. Usually I play with convergence cranked up, and that is possible here as well, but is not quite as good as the usual 3D vision setup. Overall, definitely looks good to me.